The Duchess [of York] with these words nothing appeased, and seeing the King so set thereon that she could not pull him back, so highly she disdained it, that under pretext of her duty to Godward, she devised to disturb this marriage, and rather to help that he should marry one Dame Elizabeth Lucy, whom the King had also not long before gotten with child. Wherefore the King’s mother objected openly against his marriage, as it were in discharge of her conscience, that the King was sure to Dame Elizabeth Lucy and her husband before God. By reason of which words, such obstacle was made in the matter, that either the Bishops durst not, or the King would not, proceed to the solemnisation of this wedding, till these same were clearly purged, and the truth well and openly testified. Whereupon Dame Elizabeth Lucy was sent for. And albeit that she was by the King’s mother and many other put in good comfort, to affirm that she was ensure unto the King: yet when she was solemnly sworn to say the truth, she confessed that they were never ensured. Howbeit she said his grace spake so loving words unto her, that she verily hoped he would have married her. And that if it had not been for such kind words, she would never have showed such kindness to him, to let him so kindly get her with child. This examination solemnly taken, when it was clearly perceived that there was none impediment, the King with great feast and honourable solemnity, married Dame Elisabeth Gray and her crowned Queen that was his enemy’s wife, and many time had prayed full heartily for his loss. In which God loved her better, than to grant her boon. But for the chance survival of a copy of Titulus Regius this farrago of lies would doubtless be mistaken for historical truth, especially by the Legion of Richard-Haters. Why mention the Duchess of York’s protest, unless such a protest was so well remembered that it had to be ‘covered’ in some way? Richard (it might be supposed) made up the whole story out of his head over the course of a few days; More mentioning Duchess Cecily suggests that there was indeed some long-standing issue with the marriage. We know for a fact that the lady referred to by Richard was Eleanor Talbot not Elizabeth Lucy who was a known mistress of Edward IV and the mother of his children. We know for a fact that Edward did not marry Elizabeth Woodville ‘with great feast and honourable solemnity’ but in secrecy, possibly with a view to ditching her as he had previously ditched Eleanor. Ironically, if he had married Elizabeth ‘with great feast and honourable solemnity’ it would have made the marriage valid, in the absence of a protest from Eleanor – even if he had previously contracted a secret marriage! As a lawyer, and a man of the Church, More should have been well aware of this. Arms of the Duke of Buckingham, c.1511. These floor tiles were discovered built into a farmhouse fireplace in the Forest of Dean. It is thought they came from the part of Thornbury Castle, South Gloucestershire, built by the son of the Duke of Buckingham who supported then betrayed Richard. The swan was a heraldic device of the de Bohun family and represents the claim of the Duke of Buckingham to be the rightful heir of the powerful de Bohuns. The flaming wheel’s axle is a reminder of the Duke’s ancestor Thomas de Woodstock, Duke of Gloucester and son of Edward III. The knot is the knot of Stafford, the Duke’s own family name. The mantle, or cloak, refers to Brecon in Wales, home of the Duke. The fact that various foreign courts recognised Perkin Warbeck as Duke of York merely shows that he was a useful diplomatic tool against Henry VII. Even though he was personally known to Margaret, Duchess of Burgundy, it is obvious that he was animposter. She was clearly telling lies for political purposes. On the other hand, the fact that the Chancellor of France announced that the Princes had been murdered is proof positive that they were, and that Richard III did it. The Chancellor couldn’t possibly have been telling lies for political purposes. Elizabeth Woodville clearly retired to Bermondsey because she was tired of court life and wanted to pursue religion. There is nothing odd about her choosing to live in a male monastery rather than a nunnery where she could have been part of the community. The fact her son Dorset was clapped in the Tower at about the same time is just coincidental. And of course, she wanted her lands to go to her daughter, Elizabeth of York. Henry’s Council making the decision to give the lands to Elizabeth of York was just a rubber-stamp. Richard III may have been granted the throne by Parliament, but he was a regicide and a usurper. On the other hand, Henry VII was a rightful king, confirmed by Parliament. His killing of Richard III does not make him a regicide, nor does his taking the throne make him a usurper. Even though he had no sort of hereditary claim to the throne – it doesn’t matter. Edward IV made a secret marriage to Elizabeth Woodville. How romantic! But he would never have dreamed of making a previous secret marriage. It’s absolutely impossible. OK, there’s an extant Act of Parliament that said he did. But obviously all the evidence was forged, and the Parliament was scared of Richard III. Thomas More said the Princes were buried exactly where the famous bones were found. He also said that priest dug them up and moved them somewhere else, but we’ve forgotten that bit. Also it would be the obvious thing for Richard to demolish a stone staircase and dig down ten feet to get rid of them. Dumping them in the Thames would have been too simple. The bones couldn’t possibly be anyone else’s as no one else ever died on the site of the Tower, ever. Owain Tudor was definitely secretly married to Katherine of Valois, even though there is no evidence of the marriage. On the other hand, Edward IV was definitely not secretly married to Eleanor Talbot, even though there is an Act of Parliament that says he was. Eleanor Talbot had lands that were not dower, not inherited and not bought. However they were not very valuable. They were probably a gift from the Magic Bunny, as they couldn’t possibly have been given her by Edward IV. Richard III had to murder Edward V and his bro., because they were a potential threat to his throne. Yes, we know he had them declared illegitimate, but so what? On the other hand his nephew Warwick, who was legitimate, and the son of an elder brother, was no threat to Richard at all, and so he left him alive. Of course when Henry VII became king, Warwick suddenly became a threat to Henry because of his incredibly strong claim to the throne which was not at all barred by his father’s attainder. So eventually, Henry was forced to kill him. But he gave him a fair trial first, even though Warwick hadn’t done anything, so it makes it OK.
Richard III was planning to marry Elizabeth of York. It was such an obvious thing to do, as it would have strengthened his claim ever so much had he married his illegitimate niece. We don’t believe the evidence that he was planning to marry Joanna of Portugal as the sources for it are foreign. They were obviously making it up. Croyland said he was planning to marry Elizabeth and Croyland was a well-informed royal clerk. He just didn’t get to hear about negotiations with foreign powers – OK? Or maybe Richard changed his mind, you know, while Anne was dying. That would be just like him. Anyway it’s in More and Shakespeare too, so that makes it fact. This is a plea to Judy, or anyone else who can help. No grins, but I am trying to find out all I can about the word ‘strumpet’, for instance if there is a verb (other than in Grose, who’s a little late) that derives from it. Or, indeed, if the noun derives from the verb. I have found the following, but wonder if the OED (or any other in-depth source) has more facts? TO STRUM: to have carnal knowledge of a woman, also to play badly on the harpsichord or any other stringed instrument. [Capt. Francis Grose, “A Classical Dictionary of the Vulgar Tongue,” 1785]”……………….. So, Leicester it is. After all the furore, delay, money spent and suffering (if bones can suffer) of Richard himself, we are back where we started. If it were not for this judicial challenge, he would be buried now and at rest. But, Spring 2015 is when he is to be finally shown the honour, respect and consideration his rank is due. Then we, his supporters, will be able to go to Leicester and think our personal thoughts while we are actually within feet of him. No more seeing …from afar on TV or in the press, we will be physically close. It is something to which I look forward. He’s been important to me for so long that I need to pay my personal respects. May everything go well from now on, and may the wounds of this disagreement between friends be over and done with. We’re not York or Leicester, we’re Richard’s supporters. Maybe we are laughed at sometimes, for adhering to a long-dead king, but we know what it feels like and what it means to us. I’m writing the latest book in my Cicely Plantagenet series, in which Henry VII’s pet monkey makes its appearance. But I’m stuck for a suitable name for the little darling. The monkey, that is, not Henry. I’ll love to hear any (polite) suggestions. I’ll love to hear them all, of course, but the name in the book has to be sly and clever (ironic, some people might say!) Not anachronistic either. I would love it to be one that has a go at the House of York. I mean, it’s Henry’s monkey, he’s bound to find it amusing to call it something along the lines of Dickie. But I can’t bring myself to that. Henry can’t have his way. So please let me know your suggestions. A copy of Cicely’s King Richard to the winner. Held at the Tower of London, Fetterlock Suite. The Chair welcomed Members to the meeting, and indicated that wine and wafers were available on the side table. Members should help themselves and leave 2d in the dish. This was claimable on the quarterly expenses claim. The Chair expressed his regret that a mess of strawberries was not available on this occasion. The Amended Minutes were approved nem-con, and ordered to be signed by the Chair. JH suggested that the obvious thing to do was to put them in a boat – at night – take them out into the Thames and dump them over the sides. RR added that he knew where some cheap hessian sacks could be obtained. FL said he knew there was lots of old armour lying about the Tower that could be used to weight the sacks. JH agreed it was important the sacks should sink. He suggested old anchor chain. As it happened, he had some in stock. BR protested at length. Said it was much more obvious to bury the boys in the proper place, the chapel of St Peter ad Vincula. This would enable proper funeral rites to be observed. Pleb pointed out that this might involve admitting the boys were dead. BR said that apart from anything else, that was the whole point of their unfortunate accidental death brought about by tragic misadventure. The bodies needed to be properly displayed so that people would know they were dead. WC added there were good precedents for this. The Chair said he was minded to agree. He had a black suit of clothes in need of an airing, and would be happy to attend the Service in the Capacity of Chief Mourner. That way everyone would know how upset he was. Moreover, no plots could then arise to put the boys back on the throne. Pleb pointed out certain presentational problems. WC advised that the boys could not be put on the throne anyway, as they were a) bastards and b) dead. M said this was all far too straightforward. The Intelligence Service took the view that it was much better to create a mystery, and confuse people as to what had happened. With good luck, people would still be pondering what had happened in 600 years time. This was a highly desirable state of affairs as such matters ought not to be in the public domain. M added that in the view of the Service, the bodies should be disposed of in the most impractical way possible, and that every encouragement should be given to ridiculous rumours, which would naturally would add to the desirable confusion and mislead our enemies within and without the realm. 1) That tenders be obtained from suitable contractors to partially demolish a suitable staircase within the Tower, and dig an excavation beneath it to the depth of at least ten feet. 3) That the work described above be then made good. 5) That the activity above be carried out in broad daylight, and no attempt be made to discourage members of the Tower community from approaching the work site – subject to Health and Safety considerations. 6) That no official announcement be made on this subject at this time or at any future date, in order to increase speculation to a maximum. M informed the meeting that she was in correspondence with the Dowager Duchess of Burgundy with regard to the provision of ‘feigned boys.’ Once these had been taught English and court etiquette they could be released to cause still further confusion. The Sub-Committee approved this action. Unfortunately, this book fell far short of my expectations developed from the quite brilliant introduction. Once I got into the body of the book, I found it contradictory and repetitive. For example, in Chapter 3: Warring Cousins 1458 – 1460, Licence first mentions that of the 13 children Cecily Neville gave birth to, only six survived to adulthood, and later has it that seven survived. Seven is the correct number. I also hit some speed bumps with some of Licence’s references to people. For example, Anne Neville’s parents were referred to as Richard and Anne right after a discussion about Richard, Duke of York and Cecily Neville, without a clarifying note that it was Warwick (Neville) and not Gloucester. 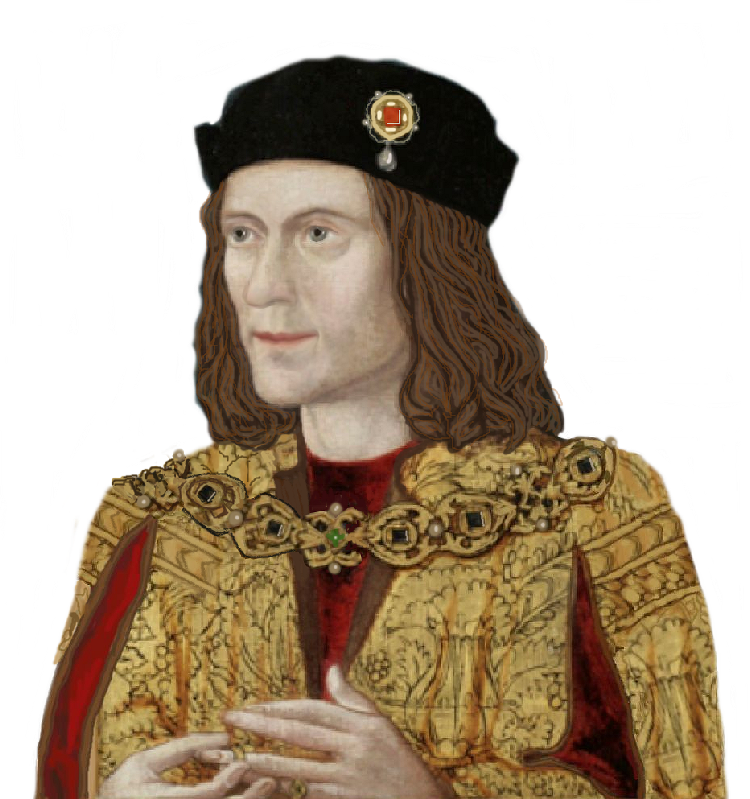 Licence refers Richard III as Richard of York: “…leaving the four-year-old Richard of York as Cecily’s youngest child.” I know his father was Richard of York, but was Richard III ever called that? In fact, from early in the 14th-century York was reserved for the second son, which in this instance, would have been Edmund. Licence gave a convincing portrait of Anne’s early life, from swaddling to toddler to child. To fill in some gaps about Anne Neville’s history, Licence surmised that Anne would have observed and been instructed on the various duties expected of a woman of her status. While I appreciate the general information, I did not appreciate that it was repeated in several chapters with a lead in such as perhaps, may have, would no doubt, is the chance, etc. I feel it would have been more informative, if instead of spreading this information out across several chapters the author described the typical duties and education in its own chapter. The bibliography is robust and runs the gamut from Hammond, Sutton, Ashdown-Hill, and Baldwin to More, Weir, and Shakespeare. Interestingly, a 19th-century edition of Croyland was referenced instead of the newer edition edited by Pronay and Cox. In addition, Licence frequently referred to both More and Shakespeare, including several quotes from Richard III and Henry VI. I found the following lines from Chapter 14, Eclipse 1485—“What, exactly, was Anne’s contribution to her times? While Richard III has inspired his own cult following, Anne has received far less critical attention.”—rather curious. What do any followers of Richard—cult or otherwise—have to do with Anne’s role and does the author think Ricardians are cultists? Two formatting issues with this publication are that the table of contents does not list the chapters within the two major sections: “Anne and Warwick,” and “Anne and Gloucester,” and it lacks an index. I expect both in a non-fiction book. Thanks to Joan Szechtman. This review will also appear in the “Ricardian Register” (June). After reading this, I was left puzzled. Mr. Gore criticises the book, praises the book, and in the end sides with archaeology in general. Which, to me, isn’t the point, because the book deals with a specific dig, and no ordinary archaeological dig at that. No matter what the Leicester team thought. They didn’t look beyond the end of their collective nose. Yet they are the heroes, Richard III wasn’t worth a t-ss, and his supporters are soppy, maybe even certifiable (my word, not Mr. Gore’s) Oh, well. If I were Mike Pitts, the author, I’d be a little bemused. I’ll be buying the book, which I think will be more balanced than The Independent’s review.